Country Square Western Wear has been providing authentic, high-quality western apparel in the Southcenter area since 1986. 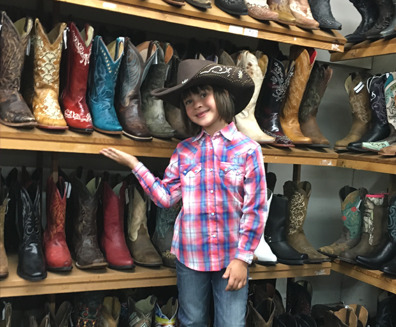 Our goal is to preserve the beauty and tradition of western heritage by providing authentic and affordable cowboy boots and western wear for our Southcenter customers. Are you looking for cowboy boots, cowgirl boots, western boots, jeans or cowboy hats? We have a large selection of cowboy boots, hats, jeans, accessories and other western apparel from many popular western brands. 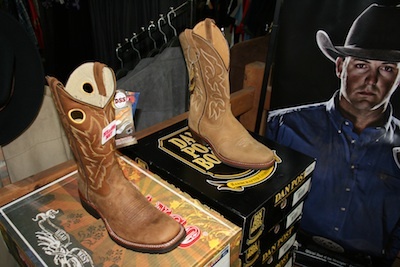 Our range of western boots extends from casual to formal to suit every given occasion in Southcenter. Western boots, cowgirl boots and cowboy boots are not just for riding horses – they are also known to protect ankles and feet from difficult terrain, as well as being very stylish. Justin, Corral and Ariat are brands that make great cowgirl boots for Southcenter women and girls. Hand-crafted specifically for ladies’ feet, these cowgirl boots are designed for comfort, style and functionality. Our selection of Justin cowgirl boots ranges from utility cowgirl boots, like the Stampede, to vintage snake cowgirl boots and even casual sandals. Corral handmade boots come in many different designs, so you can choose one to match your own style. Ariat cowgirl boots can suit any budget without sacrificing style and functionality. Serving Southcenter, WA and the surrounding area, Country Square Western Wear has one of largest selections of western boots around. You’re guaranteed to find cowboy boots for every Southcenter occasion, whether it’s casual, work or leisure. Call us now at 253-220-7674 or visit us in store to get your perfect cowboy boots for Southcenter.